Waking up from a long winter nap. All I can say is "Wow" and "Thank You" to however it was that this article which you can click onto here landed in my inbox. 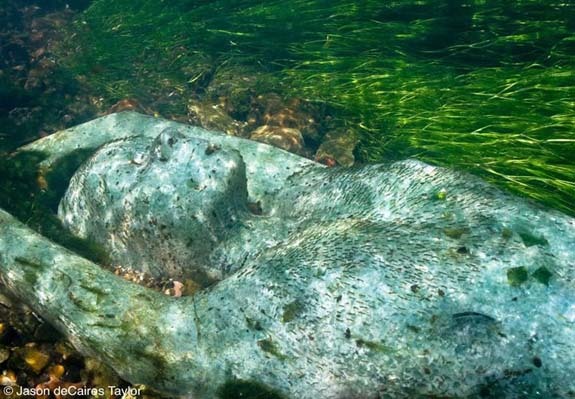 It's about artist Jason de Caires Taylor who is taking art outside the gallery. He makes life size sculptures that he installs underwater and documents them becoming part of their natural environment. Makes me want to live underwater.